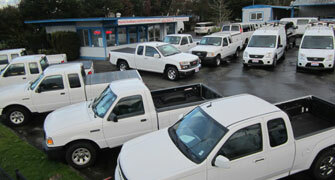 Thank you for visiting the Pacific Fleet Sales website. 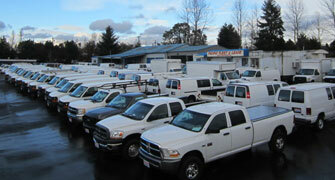 Pacific Fleet Sales has been servicing the Seattle area, Washington State and the Pacific Northwest Region for over 30 years. We specialize in sales, service and leasing of quality, reconditioned, fleet vehicles such as cargo vans, cube vans, stepvans, passenger vans, suvs, pickup trucks, service body trucks, flatbed trucks, dump trucks, and box trucks. We are a company that appreciates our customers and believes that follow up after the sale is more important than the actual sale. Our customer base consists of families and individuals, small start up businesses, well established companies and large corporations. 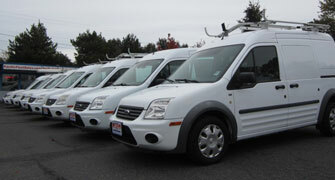 Whether you're looking for 1 vehicle or 10, Pacific Fleet Sales can fill your needs. Search our inventory today for a huge selection of cargo vans, cube vans, stepvans, passenger vans, suvs, pickup trucks, service body trucks, flatbed trucks, dump trucks and box trucks. We offer a casual atmosphere with a no pressure, no games approach. We invite you to come experience the difference for yourself. Click on inventory to the left to find: cargo vans, cube vans, stepvans, passenger vans, suvs, pickup trucks, service body trucks, flatbed trucks, dump trucks and box trucks.